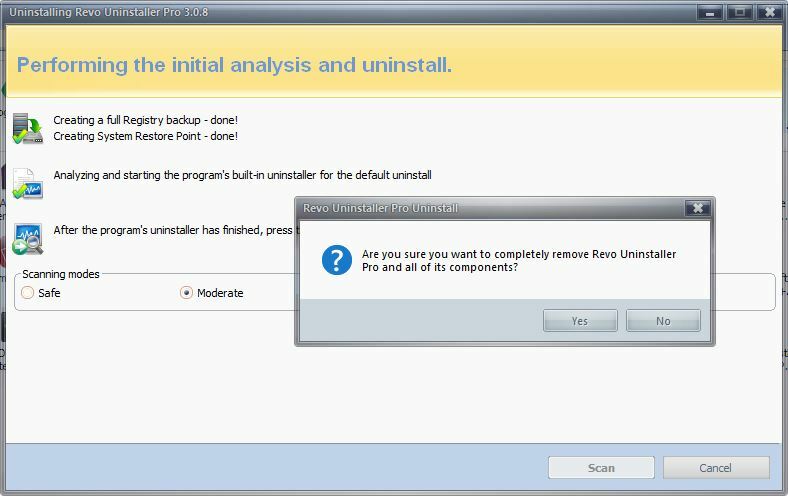 "Revo Uninstaller Pro helps streamline the process of software removal and removes any trace of the software you no longer want." Revo Uninstaller Pro helps streamline the process of software removal and removes any trace of the software you no longer want. Not only that, but has many different options to meet your needs when you just want to clean your computer without much effort. Revo Uninstaller Pro collaborates all of VS Revo Group's best PC cleaning software into one fantastic program to minimize time and effort. 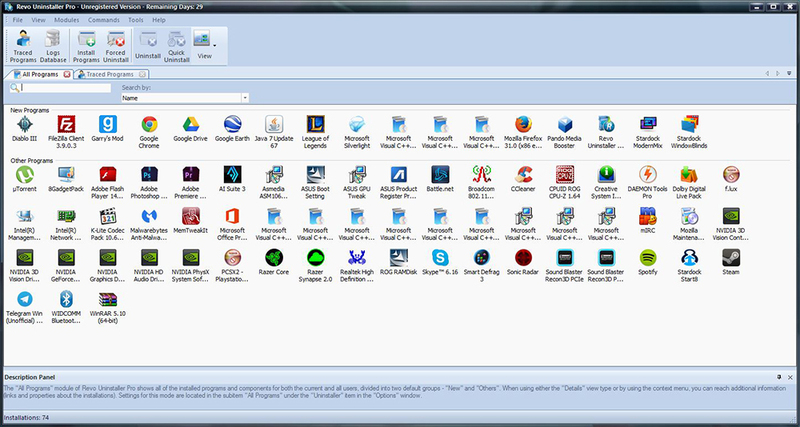 With Revo Uninstaller Pro, you get vast more options than with Revo Uninstaller. With Pro, you get Forced Uninstall, quick multiple application uninstall options, Real Time Installation Monitor, a Multi Level Backup system, and more! With many more tools at your disposal you won't ever have to go on a PC cleaning spree on your own ever again. Revo Uninstaller Pro will do everything for you with a few simple clicks. Revo Uninstaller Pro also has an innovative feature called Hunter Mode which give you the flexibility to uninstall, stop, and/or delete application with one click by simply selecting icons with your mouse cursor, even those in your taskbar, to delete programs with the greatest of ease. Revo Uninstaller Pro can be added to your maintenance applications and reduce the amount of time it takes for you to clean your PC by a significant amount of time. Revo Uninstaller Pro also removes any trace of the program(s) you are uninstalling, which is something Window's default uninstaller does not do. Your PC is not truly clean without a thorough maintenance application like Revo Uninstaller Pro.